Cobia are a pelagic species of fish typically targeted during their seasonal migrations along the Atlantic coast in the spring and fall. Ranging in size from fifteen to sixty pounds on the Atlantic coast, cobia are excellent table fare and present excellent sight fishing targets if you hit the time of year and weather conditions right. 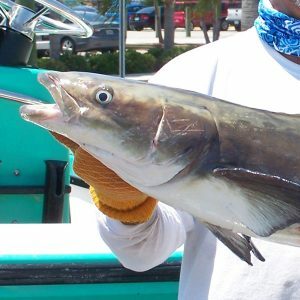 Cobia prefer a water temperature range of 68 to 70 degrees.